What are we looking for? We are looking for YOUR story! This year we are launching “Missing Chapters: Untold Stories of Asian Canadians in Calgary”. This unique project stems from a thorough community consultation held in over 50 Asian communities in Calgary. Together, community members shared with us their desire to celebrate and share Canada’s 150th birthday in a meaningful way. Missing Chapters speaks to the under-representation Asian Canadians’ contributions to the public Canadian history, public discourse and consciousness. It will assemble a unique Pan-Asian collection of authentic and inspiring stories of participation and contribution, struggles, perseverance and resistance, identity and belonging, settlement and integration, social inclusion, community development and collaboration, as well as showcase the achievements of Asian Canadians in Calgary. Missing Chapters can only succeed with the deep connections, influence and outreach capacity of our community partners and members. With the support of our funders and sponsors, the AHF is committed to assemble a strong team to support the work. The project will be shared widely through social and printed media, to be displayed at various locations throughout Calgary starting with Asian Heritage Month in May 2017. 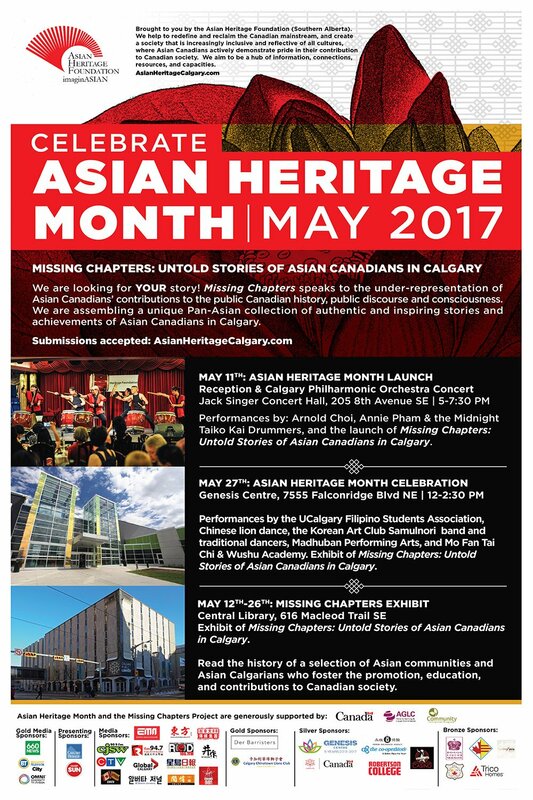 Submissions are to be emailed missingchapters@asianheritagecalgary.com as soon as possible. 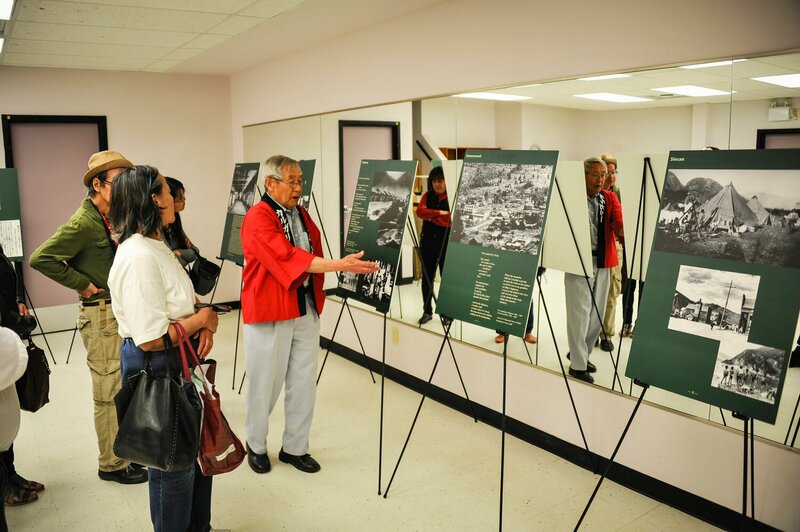 Entries received by April 10 that are selected may be showcased during Asian Heritage Month in May 2017. Entries will be reviewed continuously until October 2017. We we look forward to hearing from the community!